Noel stumbled into dance by accident during his third year studying anthropology at UC Berkeley. His beginning modern instructor inspired Noel to keep dancing regardless of his lack of training. The seed was planted, and after a few years trying to save the world in Washington, DC, Noel went back to dancing and made it a full-time passion. He moved to San Francisco and started taking classes with Joe Goode, Scott Wells, Keith Hennessy, the San Francisco School of Circus Arts and the notorious Lizz Roman, where he learned unprecedented skills in partnering, inversion and release. He was eventually invited into Lizz' architecturally-based dance company and worked with her for three years before moving to Portland. 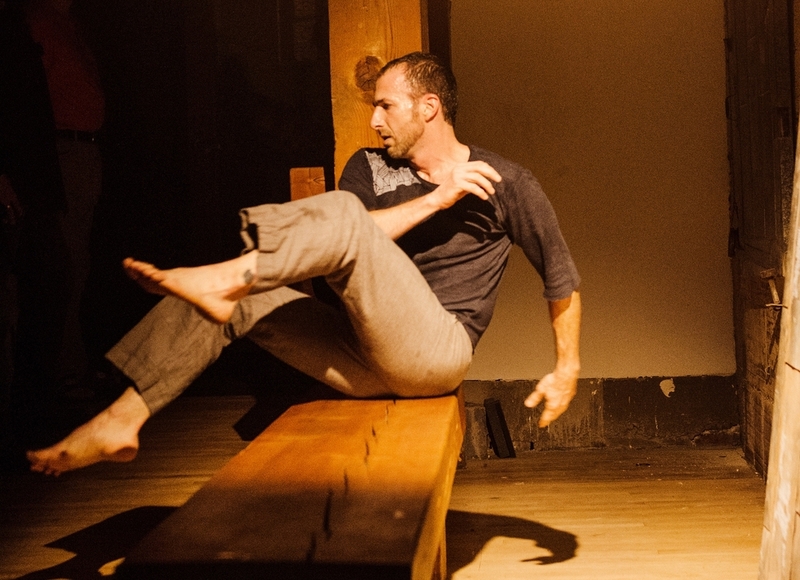 Noel is honored to have worked during his tenure in San Francisco with EmSpace Dance, Shift Physical Theater, Company Mécanique, and Huckabay McAllister Dance. He's also found his way into the Portland dance community and is thrilled to have worked with Oslund + Co.,tEEth and Keely McIntyre.